The Nairobi County Government plans to hire 300 city officers to improve county operations. Senior Inspector at City Hall Peter Mbaya said the County is facing a serious shortage of the officers. “We are overwhelmed.The number of city askaris working in the CBD is very small,” Mbaya said during an interview with the Star. The Inspector said the County currently has 97 “askaris” and in order to fully operate within CBD, they need about 300 city askaris. “The night operation team has only 15 askaris and it is almost impossible for them to handle all the traders within the city centre,” he said. Mbaya noted that during the day the city askaris arrest up to 150 city traders but at night, due to the diminished number, they only apprehend around 10 to 15 traders. He added that the other challenge faced by the County Inspectorate department is aged officers. “The last time the County Government employed city askaris was in 1988. Majority of the city askaris are aged hence they cannot operate effectively,” he said. “The greatest challenge is the mama mbogas. On our side male askaris cannot handle them and we have very few women askaris,” Mbaya added. 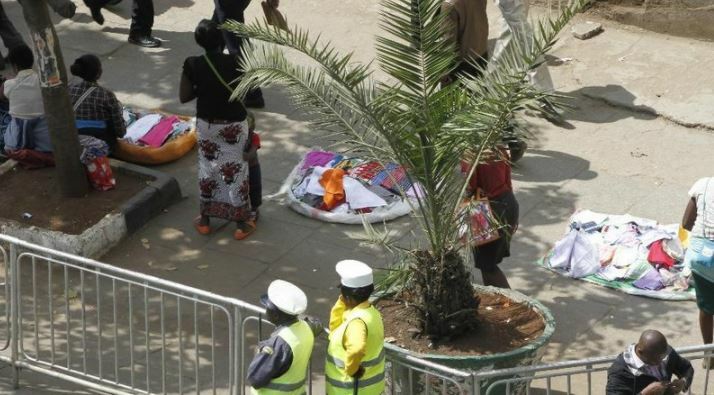 He said some of the women hawkers hire children at a cost of Sh 200 per day to evade being arrested. “At times we attempt to arrest them but the public becomes aggressive and even threaten to beat up the askaris for harassing the mama mbogas with children,” said Mbaya. According to Mbaya, permanently relocating the traders from the city centre is almost impossible. He urged Nairobi residents to be patient as change is coming within the city centre.